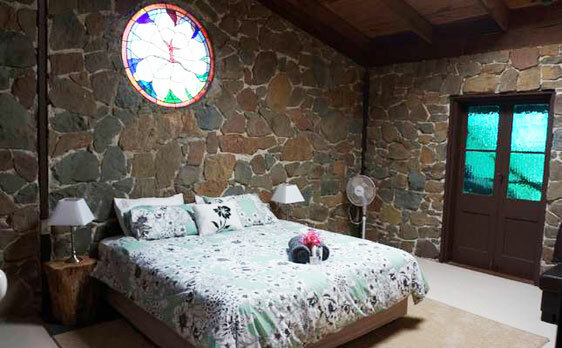 CALL The StoneHouse Retreat NOW! The Stonehouse was architecturally designed as a private eco lodge. 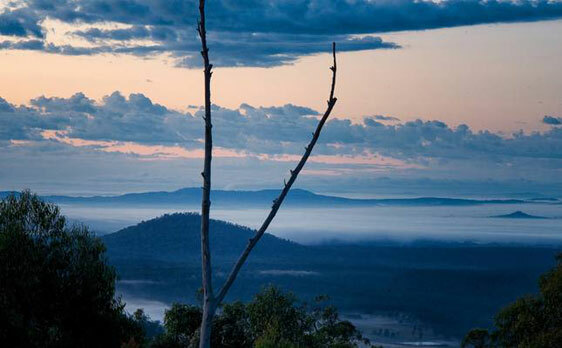 Today it is a very special get away for couples and families who enjoy the peaceful and beautiful Australian Bush, and all that goes with it. All you need to do is settle back with good company, the peace and quiet, maybe a book or some music, a cold beer, glass of wine or a cuppa and let the house and the bush work their special magic. All the materials in the house are off the site or recycled in. The fully equipped kitchen has European appliances and if you love to cook it will be a delight to use… that is, if you can get your eyes off the view. You are very likely to be sharing your time at the Stonehouse with wallabies, koalas, deer and amazing birdsong which will start and end your day. 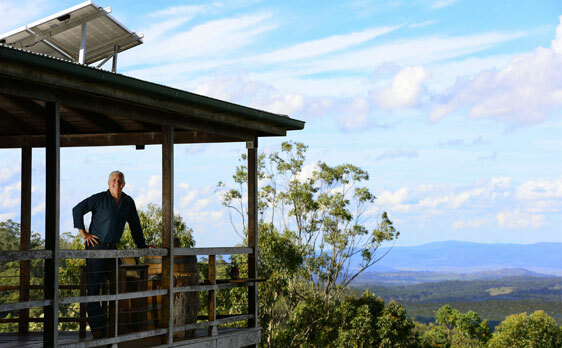 The views from the decks, lounge and kitchen are truly incredible and stretch for hundreds of kilometres around the Scenic Rim and over a number of lakes including Wivenhoe. The night sky is as spectacular as the view by day. On a clear day you can see for hundreds of kilometres and by night you will see thousands of stars you have never seen before! Cool breezes are assured and the house is very comfortable even on the hottest days due to its design and huge thermal mass. In winter the fire and underfloor heating keep things toasty. Add in an amazing sunrise and a string of thunderstorms and the experience is complete. Sleeping Capacity… 2 x King Beds (one King can be split into 2 singles if necessary) and 1 x Queen Bed. There is plenty of room for additional beds / sleeping and this can be arranged if necessary. A fourth “bunkroom” is also available taking capacity to 9. If the kids want to camp-out that is possible. There are also a small number of “bush campsites” on the property. StoneHouse Seasons….As winter passes and the romance of a warm fire leaves your thinking the amazing views and this unique house remain. Spring means it is time to get active in the outdoors. Time to start thinking about our swimming hole, the watersports options at the nearby lakes, a bush walk or mountain bike ride. 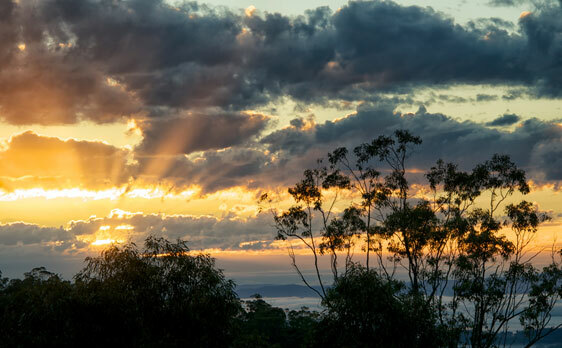 Summer is just as wonderful at The Stonehouse and it is always smart to pack a jumper …cool evening breezes are the norm… Nothing beats watching a string of thunderstorms along the scenic rim! Be assured a cold beer or a glass of wine on the deck never goes out of season at The Stonehouse! The Stone House is a self catering venue. Specialist catering support is available on request. Support with larger birthday functions or meeting events is also possible. 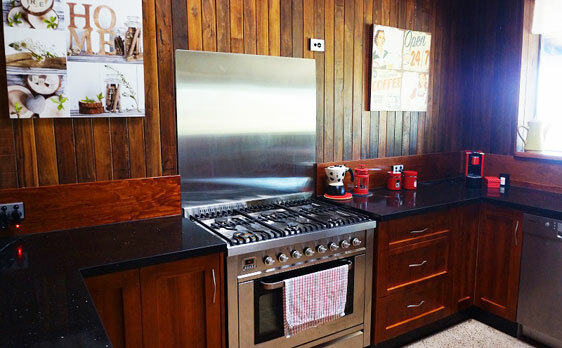 Apart from the view, the centre piece of the granite topped kitchen is the full size professional Ilve gas stove/oven. This high quality appliance is complemented by a good selection of pots, pans and baking dishes. Good quality knives and all the typical utensils are provided. Supporting appliances include a coffee machine, microwave oven, stick blender, toaster, kettle and Bosch dishwasher. Specialist cooking resources and equipment should be bought with you or organised well prior to arrival. As winter passes and the romance of a warm fire leaves your thinking… the amazing views and this unique house remain.